Irene Anna Lempka of Berthoud CO passed away at her Sunrise Senior Living Home in Centennial CO on March 27, 2019. 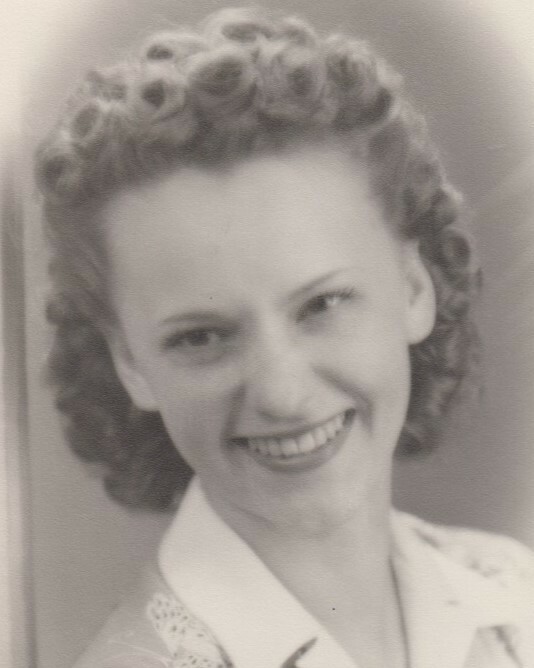 Irene was born July 20, 1924 in Polk County Nebraska to Joseph Iwan and Anna Chohon Iwan. Her father passed away in 1934 and she was raised, along with her six brothers and sisters on a farm near Pilsno NE. During her high school years, she was the yearbook editor, choir member, and pitcher for the softball team. In 1941 she graduated from Silver Creek NE High School and headed to Omaha to seek employment. She worked at Boys Town and at the Glenn L. Martin Airplane factory on what is now Offutt AFB. On a blind date she met Edward Lempka. She followed him on his military assignments in WWII and they married in Portmouth VA on February 13, 1945. After the war they moved back to Omaha where their son Ken was born. From there they moved to St. Mary NE and Sterling NE, and finally in 1953 moved to Denver CO. In 1959 their second son Larry was born. Irene worked at the Federal Center for the U.S Forest Service. Daughter Carol was born in 1966 and that fall they realized their dream of moving back to the country, purchasing a farm in Mead CO. In 1971, Ed and Irene purchased their 100 acre farm in Berthoud CO where they lived their final years. Besides being a housewife and raising her three children, Irene was bookkeeper and accountant for Edward’s electrical business, their rental properties, and their farm. She was a volunteer 4H leader, an election judge, an exceptional seamstress, a master gardener, and famous for her chocolate chip cookies. She is proceeded in death by her parents, her husband of 65 years, Edward, and siblings Ted, infant Clara, Rose, Clara, Eddie, Lucille, Lillian and Gerrie. She is survived by her children and their families, Ken Lempka and wife Helen of Vancouver WA, Larry Lempka of Berthoud CO, and Carol Borcic and husband John of Centennial CO, grandchildren Kevin Luck, Michael Borcic, Matthew Borcic, Mitchell Borcic, and Madison Lempka. Aunt Irene was universally loved by her many nieces and nephews. Mom lived a full and adventurous life, and will be deeply missed. Rosary will be said at 4:00PM on Sunday April 7, 2019 at Viegut Funeral Home in Loveland CO with viewing to follow. Funeral services will be Monday, April 8, 2019 at 10:00 AM at St. John the Evangelist Catholic Church in Loveland CO with internment at Green Lawn Cemetery in Berthoud CO, followed by a reception.